The winter sales are already in full swing. Brands have already started with further reductions which will last until the end of the month. Quite tempting, right? Like every year, I try to stay away from sales. Why? Unless I liked it before, I won’t now. Shopping just doesn’t bring me any joy any more. I want to invest in more high quality pieces which I would wear every single day. Still, I have so many pieces hanging in my closet which I haven’t worn for year (I love my blazers but rarely wear them!). Over the years some winter items have stayed in my wardrobe for ever. Unfortunately, some of them aren’t on sale right now. I tried my best to link a cheaper alternative. 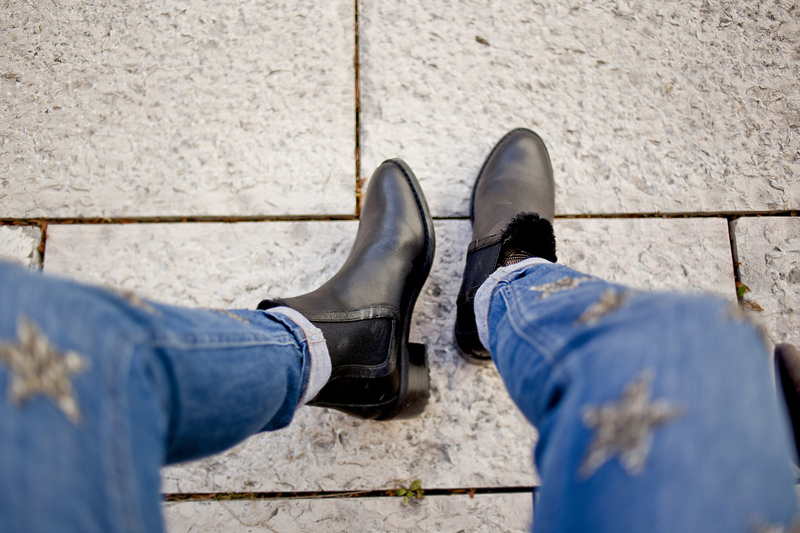 Boots are definitely one of the best sale investments you can make. I rarely buy trending pieces, which I won’t love the season after. Here are three styles which I’ve bought in the past two years and still love! I always have cold feet. Therefore, these EMU Australia Pioneer boots have saved my life. EMU Australia has one patent and one suede leather model. Apparently, both of them are water proof. I bought mine two years ago and apart from repairing the sole once they in perfect condition. Undoubtedly, Pura Lopez makes some of the most beautiful winter boots (and shoes in general). I’m madly in love with the Spanish brand. Thanks to my intelligent Shoptagr-tool I scored these beautiful ankle boots for € 99.99 instead € 329.95 off. When? In May. Tip: Save your items for longer. The best winter shoe deals are made in summer. Likewise for winter jackets e.g. This was probably the best bargain from last winter’s sale. I love the fact that mountain style boots are high in fashion again. I scored these boots 50% off at Boden (which also have great clothing pieces too) last year. Aren’t they beautiful (and oh so warm!)? I’m usually a blazer person but during winter time I prefer to wear a cozy pullover instead. A couple of years ago I realized that I don’t really own any cool pullover and got myself a couple of them. Looking back to last year, I think I only wore 3-4 pullovers all the time. My all time favorite pullover is the classic JULIANNA navy blue cotton pullover from Ralph Lauren, which I bought at the outlet in Barcelona four years ago. I also got another one second hand in beige in autumn. 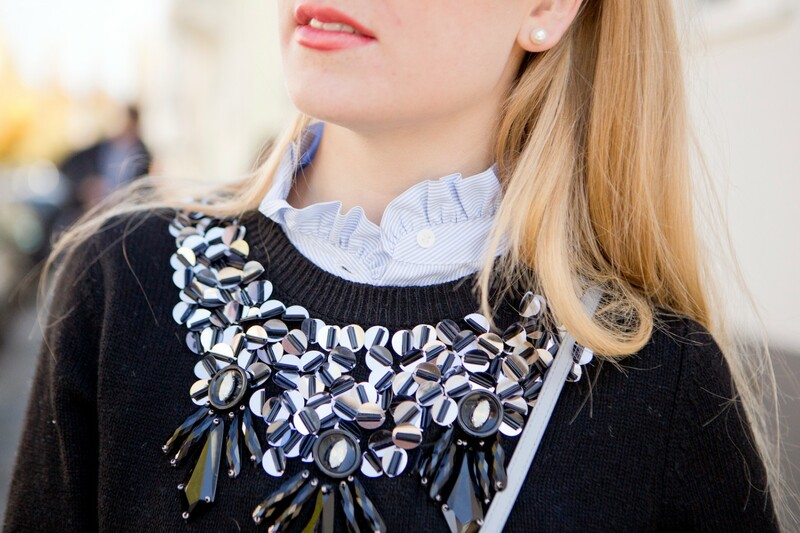 I love blouses and one of my latest additions is this gorgeous black blouse from Studio Italy – a simple timeless piece! Leather leggings are definitely part of my capsule wardrobe. Surely, they’re not going to go out of fashion any time soon. Unfortunately, my favorite pair from Hallhuber got holes and I had to give them away. Right now I only own one pair from Marc Cain which are still in perfect condition. Tip: I recommend to buy a pair with leather parts in the front and normal textile on the backside. This makes them more elastic and comfortable. Down-padded jackets are definitely the best for winter. I’m not a huge fan of layering. Therefore, I prefer wearing a warm jacket and keeping it simple underneath. I’ve accumulated quite a selection of down-padded jackets during the years. My favorite ones are still the ones from Bomboogie (I bought my first one at the early beginnings of this blog) and Duvetica. All of them are super classic and easy to style. They’ll probably last for the next 20 and more years. Unfortunately, most high-end jacket brands still have a lot of models with fur. I’m not going to buy any jackets with fur any longer and removed it! Tip: you can get great jacket deals during summer time. During that time most of the jackets are 50% off. thanks for stopping by. Yes! “Saved” me already so much money!